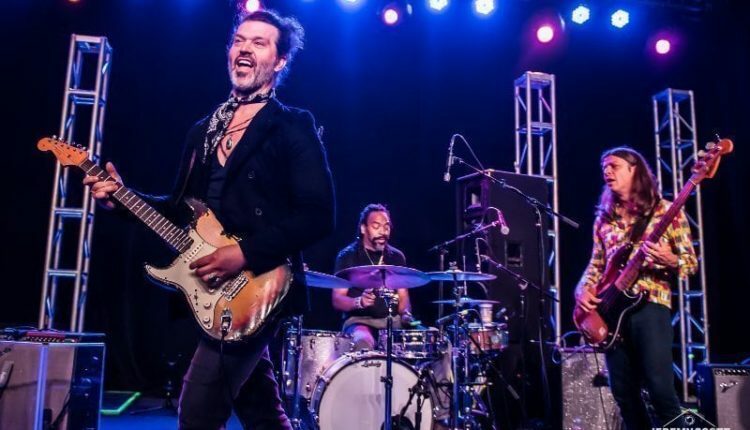 To know Doyle Bramhall II is to know rock and blues royalty. Bramhall has collaborated with Eric Clapton, who claims he is one of the most gifted guitarists he’s ever encountered. 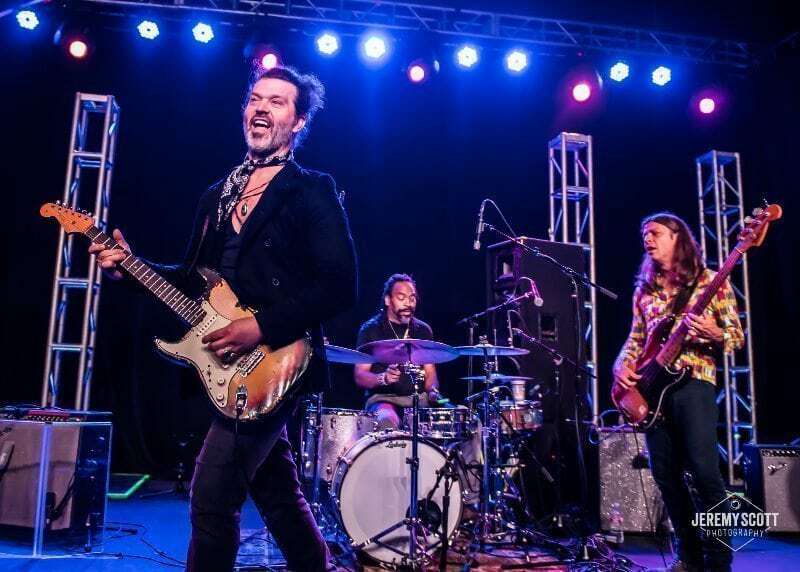 Bramhall has also performed with Charlie Sexton and the remaining members of Stevie Ray Vaughan’s Double Trouble, Chris Layton and Tommy Shannon, as the Arc Angels. He has also served as a member of the Tedeschi Trucks Band and performs regularly with Norah Jones. Bramhall brings his talents to Syracuse’s Westcott Theater (524 Westcott Street, Syracuse) Wednesday, Nov. 15, touring in support of his latest album, Rich Man. Tickets for the general admission show are $20 and available through the Westcott Theater and the Sound Garden in Armory Square in Syracuse. Doors open at 7:00 p.m. and special guest, Althea Grace hits the stage at 8:00 p.m.
Bramhall comes from blues royalty. His father, Doyle Bramhall, played drums for Lightnin’ Hopkins and Freddie King and was childhood friends with Jimmie and Stevie Ray Vaughan. Bramhall himself has created a reputation as one of the most innovative blues guitarists in America. Bramhall served as Roger Waters’ guitarist and vocalist during the “In the Flesh Tour” and appears on the live CD and DVD of that tour as well. Clapton recruited Bramhall to accompany him on his 2000 album Riding With the King, a collaboration with B.B. King that included King and Clapton songs as well as blues classics and two Bramhall songs. Subsequent years saw Bramhill branching out into production. He co-produced Clapton’s 2013 album, Old Sock and produced Sheryl Crow’s 100 Miles From Memphis. He has also worked with such luminaries as T-Bone Burnett, Elton John, Gary Clark, Jr., Gregg Allman, Questlove, Dr. John and Allen Tousssaint. In addition to his sideman work with rock and blues royalty, Bramhall has released four of his own albums. His latest, Rich Man, available through Concord Records, was released in September of 2016. The left-handed guitarist uses a guitar strung for a right-handed player flipped upside-down. His style digs deep into the blues while still remaining modern and innovative. He has also been known to mix Moroccan influences into his tunes as showcased in “Saharan Crossing” from his latest release. If you’re a blues guitar aficionado, the Westcott Theater in Syracuse is the place to be Wednesday night. For the gear heads out there, Bramhall and New Hartford native Joe Bonamassa recently sat down with Norm of Norm’s Rare Guitars to talk about their gear of choice. You can check out that interview below. 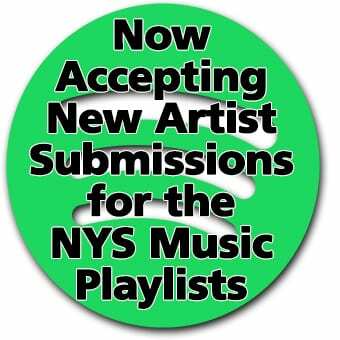 NYS Music will be on hand to cover the show with a review and photo gallery to follow.